Two fun graded stakes to finish off the day at Aqueduct. With the move to the inner track looming, let’s enjoy this top-class dirt racing! The Truth or Else (#9, 20-1): He’s got some good conditioning under him, and is making only his second career start on dirt. In this relatively tight-packed race, he should offer some value. Speed is close, but we’ll have to see a bit of improvement, but price makes it worthwhile. I’ll also use him under the main contenders (Classy Class, Ostrolenka, Frosted) in exactas. Of the last out maiden winners, Classy Class (#10, 7-2) worries me the most on the stretchout, but I’ll leave him off in favor of dutched (essentially more on the lower odds horse) win bets on The Truth on Else and Ostrolenka and the exactas mentioned above. I’m staying away from Secret Circle (#6, 2-1) on the stretchout. I remember his early races in pursuit of the Derby well, and he never seemed as happy as he did while sprinting. I’ll like him cutting back out of this race, however, a great deal. As for Itsmyluckyday (#2, 5-1), a horse that I’ve always been a big fan of, I wonder how much the pursuit of the G1 took out of him. I never liked the switch to blinkers — even after it was successful, and I’m worried how much has been taken out of this horse. I’m intrigued by Bourbon Courage (#9, 10-1) to come from off the pace. He’s in career form, and he’s always been a solid horse. In a race full of questions and horses moving in different directions, that’s enough for me. He’ll be the win bet and also complete those small doubles. He’ll also be used in exactas under the main contenders (Private Zone, Itsmyluckyday, Secret Circle) because I’m very aware that I could be both right and wrong in my opinion. 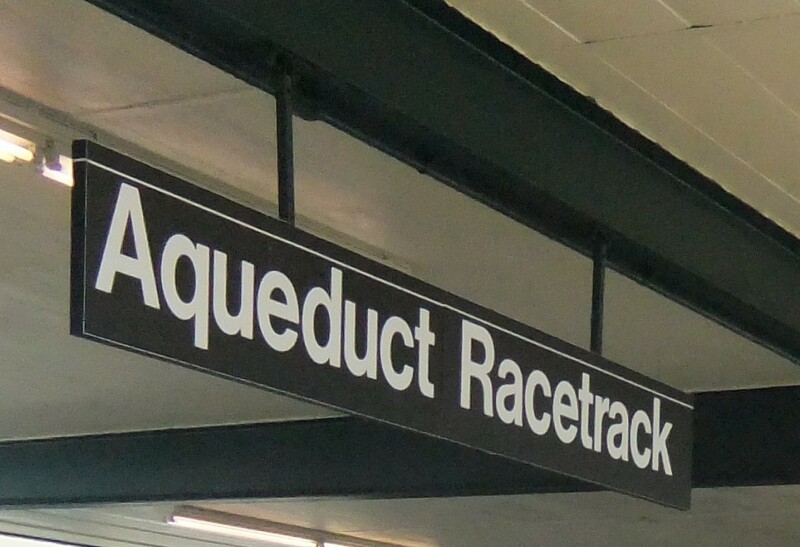 Good luck finishing the day at Aqueduct and the rest of the weekend!